I’ve been taking a bit of a hiatus from the blog these past few weeks. It’s not that I haven’t been knitting; on the contrary, I finished a Lopi sweater (not my own design), I’m working on a new poncho design which is taking FOREVER and I worked up a little baby sweater as well, which will be released very shortly. But summer “break” is not much of a break when you have a kid at home full time, lesson plans to prepare, freelance work to get done, and knitting projects to complete. 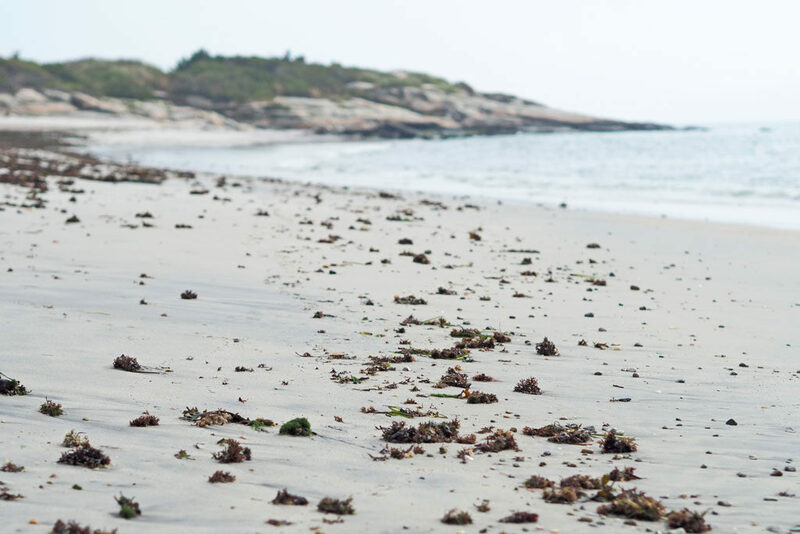 It seems like there is never enough time in the day, and I’ve been trying to make the most of the summer with fun activities and trips to the beach. Something had to give, and unfortunately it was the blog these past weeks. But speaking of the beach, I wanted to write a bit about my own local beach. 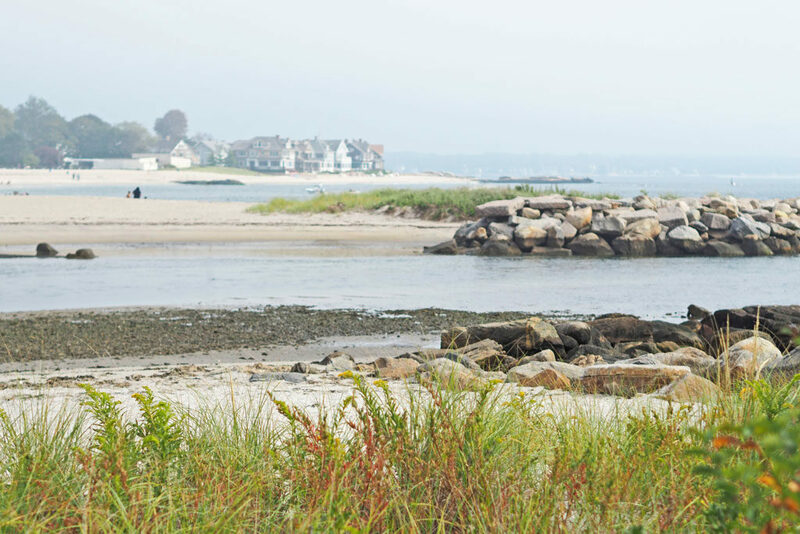 We are lucky enough to be a seven-minute drive from the Long Island Sound, and our little local beach is one of the best in Connecticut. A view across the waters to Ocean Beach in New London. I grew up on this beach, spent every summer there, know all the ins and outs of the cliffs on either end, the marshlands and dunes, the beach roses growing in the sands along the path. 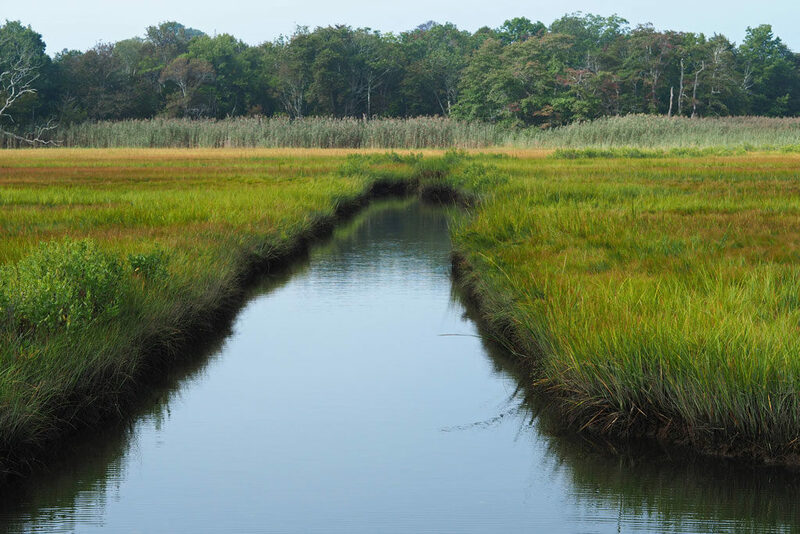 Marshlands on the way to the beach. Every day, I am grateful to be so close to the ocean, and for the many years I lived away from it, I missed it viscerally, like the ache of a ghost limb. I am a firm believer that some people have the ocean running through their veins, and I am one of those people (as is my dad, and my child). When I am away from the water, I feel like a fish gasping for breath. I need the ebb and flow of the tides, the sound of the gulls and the light shimmering off the waves in order to keep me sane and whole! 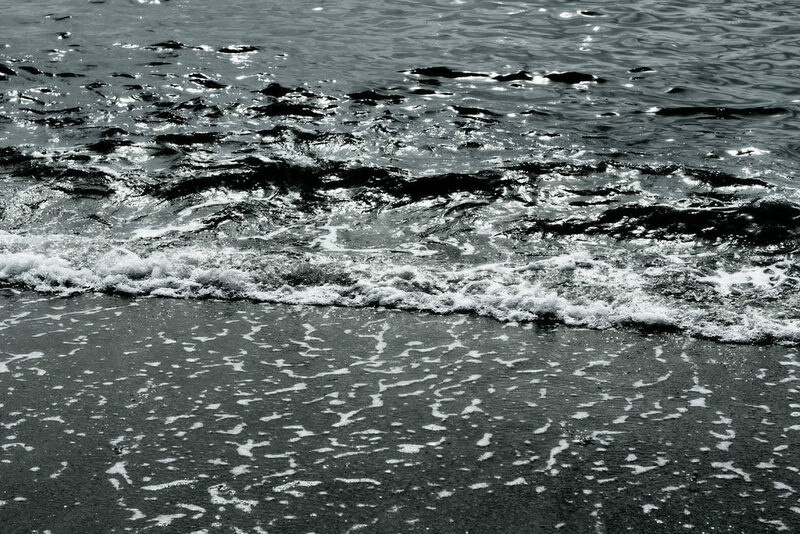 The beach is also an endless source of creative inspiration for me. In fact, I’m hoping to put together a beach-themed collection in the future! So I thought I’d go on a little photo tour here, to share what inspires my creative energies! The Ledge Light at the mouth of the Thames River. The beach itself has its own interesting views at all times of the year. I love to take walks down here in the off season, when the sunbathers are gone and the seaweed hasn’t been raked from the beach. I love this beach in its most natural form, and I love sharing it only with a few beachcombers and dog walkers on the coldest of days. When you live so close to the water, there is no bad time to visit the beach. I’ve done a number of photo shoots down here in the frigid winds coming off the water. Painful as they are to shoot, the photos always come out well! Seaweed washed up on shore. Our beach is also great for wildlife viewing. We have a pack of feisty gulls who roam the sands and steal from the beach bags of unsuspecting tourists. I love their shrill cries and take-charge attitude! Their soft coloring would make a great inspiration for a Fair Isle sweater as well. 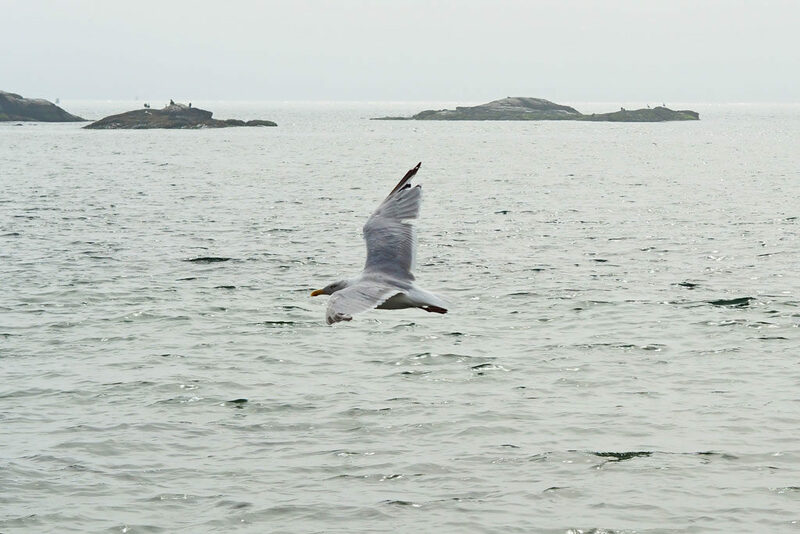 A gull soaring over the water. 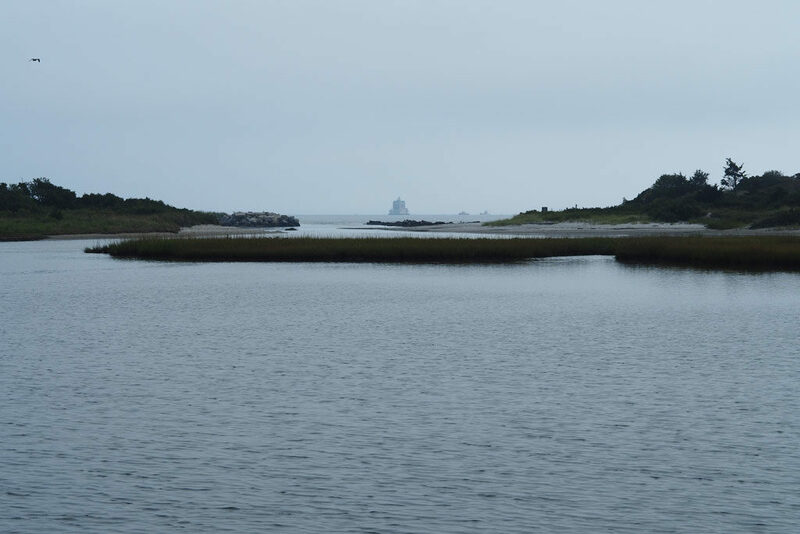 We also have cormorants, piping plovers, and other water fowl who fish in the shallows and line up along the rocks like a group of hunched old men watching a soccer match in the pub. 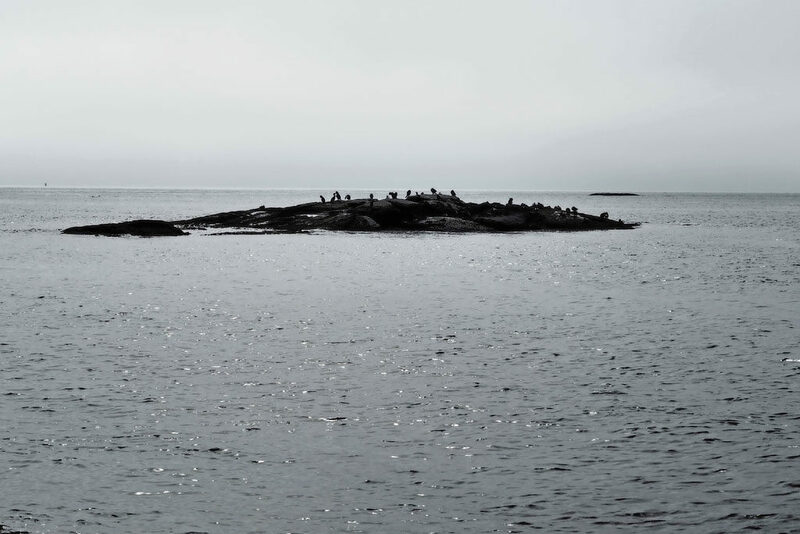 Water birds on the rocks. Inspiration can be found in other places as well, including the ripple of sandstone and feldspar eroded into steps by the tides. 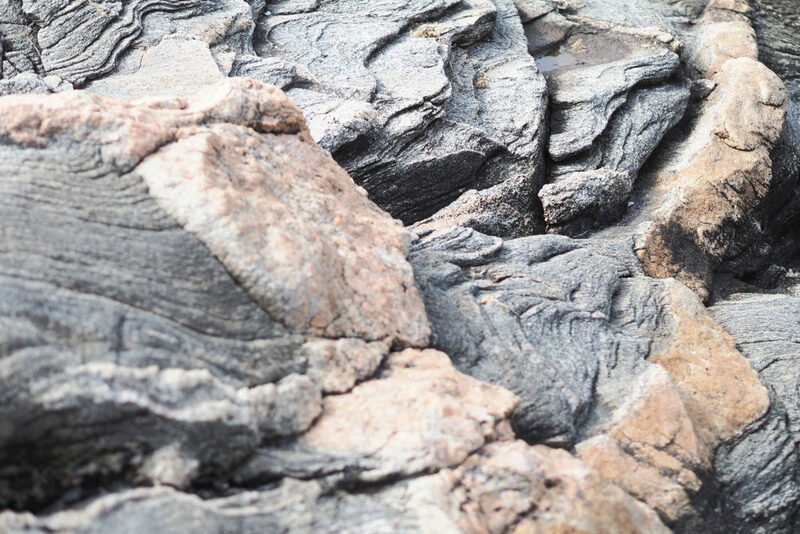 I love the textures to be found in the cliff faces at either end of the beach. The subtle juxtaposition of colors and textures is something to be played with when creating designs. 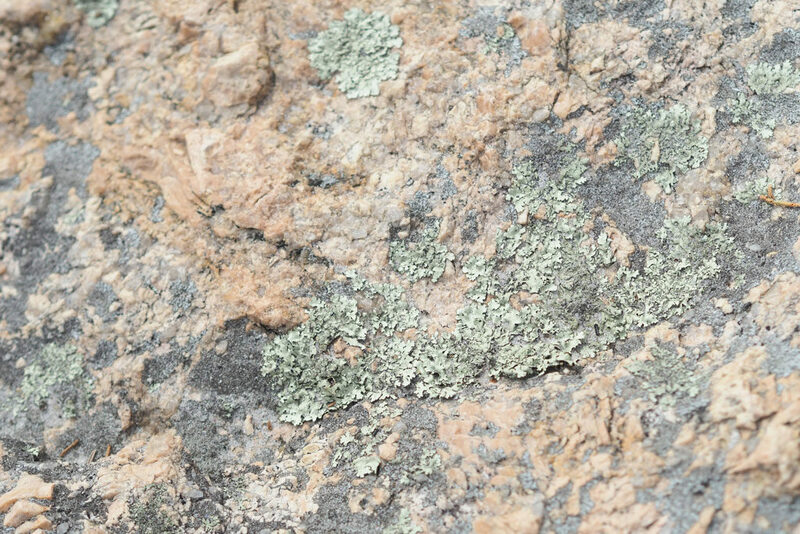 Take a look at the lichens growing on this feldspar ridge. I like the idea of combining unusual colors together in a yoke design, for instance! Lichen on the cliff face. 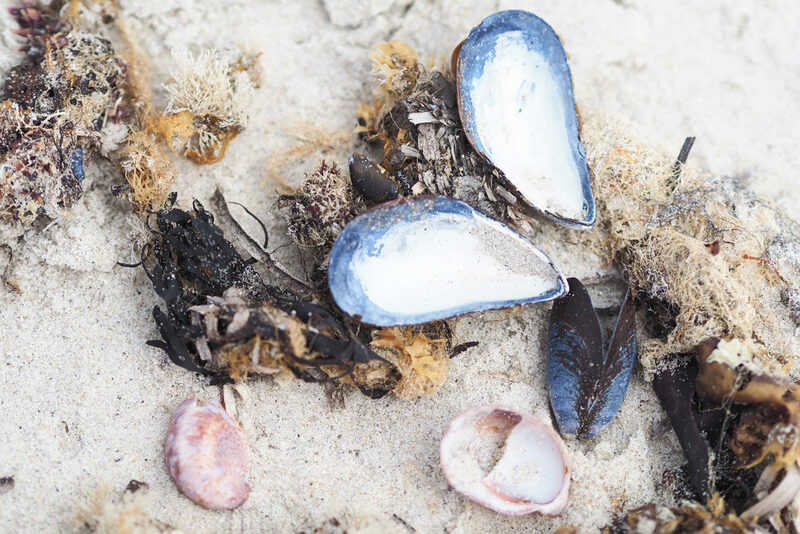 One of our favorite activities at the beach is to comb the sands near the water for interesting shells, stones, and seaglass. We have quite the seaglass collection, including some rare finds. But even the two most common shells are quite lovely in their own ways. 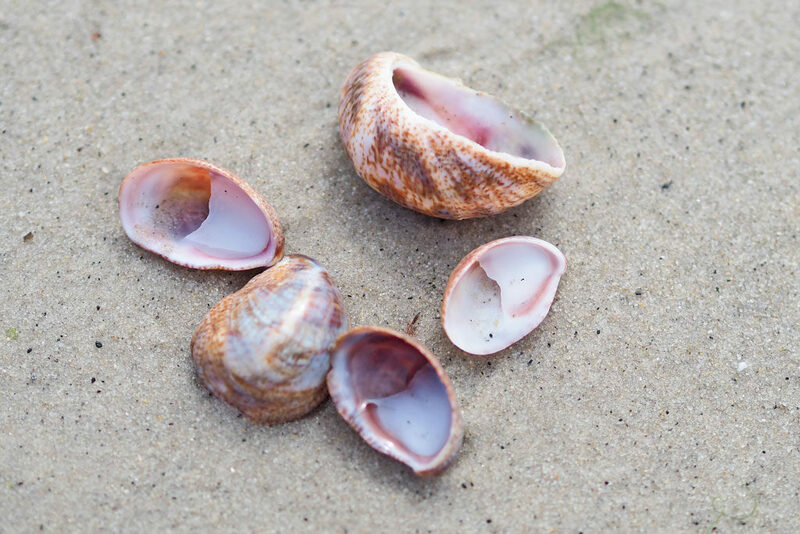 The common slipper shell is ubiquitous along our shores, and they can pile up inches deep after a big storm. It is far too easy to overlook their beautiful colors and patterns! Finally, we have the brilliant fuchsia, white, yellow, orange and green of the beach roses growing in the sand along the dunes. I absolutely love these hardy and sweet-smelling “castaways” (legend has it that they washed up on shore after a shipwreck and took hold throughout New England). 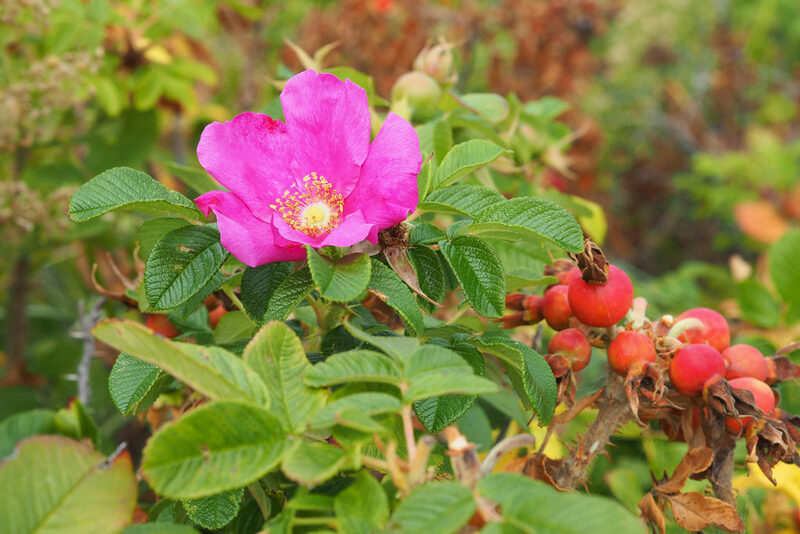 Nothing captures the rugged beauty of our coast better than the rosa rugosa blooming right in the sands along our beach path! I hope you’ll find inspiration in your everyday surroundings as well! Take time to look more carefully at the commonplace items you tend to ignore. You’d be surprised what’s hiding there. And keep your eyes peeled for some new designs incorporating the colors, textures, and themes from my favorite place on earth!